Anil Kumble's strength lies in the ability to see solutions in terms of processes, to change systems and ensure they are long-lasting. When Bishan Singh Bedi was appointed India’s coach a quarter of a century ago, his spin colleague S. Venkatraghavan said, “This is either one of the great decisions of the BCCI or it will be a disaster.” No such confusion over Anil Kumble’s appointment, though. He is the right man, in the right place, at the right time. What Indian cricket needs at this point is a giant of the game co-ordinating with a potential giant. The Kumble-Kohli relationship is built on trust, mutual respect and an approach to the game that is of the ‘no-quarter-asked-for-and-none-given’ school. It was a line that affected Australians deeply. It was one they identified with. 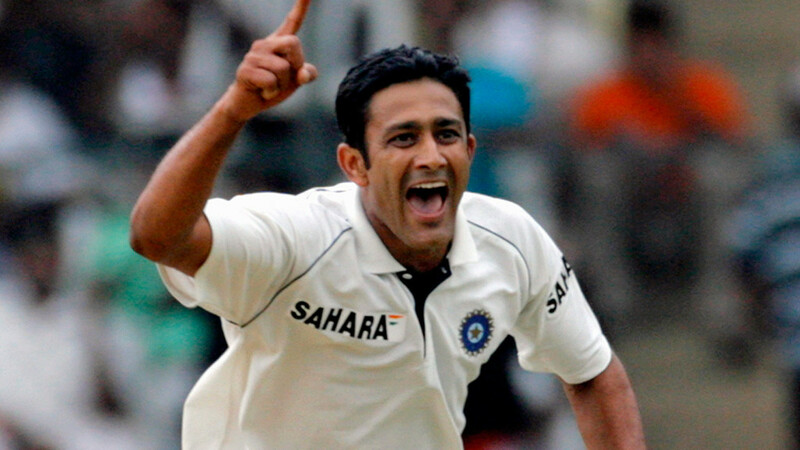 Kumble had shown himself to be a man who knew his cricket history. So how does a player’s achievement impact his coaching? As a modern great, India’s most successful bowler and a former captain, Kumble is an inspiring figure. The word ‘coach’ is a misnomer in the context of international cricket where there is very little coaching to be done. After all, these are the best players in the country, and the coach is not expected to teach them the forward defence or where the front leg should point during a square cut. The coach is a psychologist, psychiatrist, history book, future-watcher, management guru, head master, father figure and more rolled into one. Kumble ticks all these boxes. The captain-coach equation is a crucial one in modern cricket. Kumble has played a key role in the evolution of Virat Kohli, as player and captain, when both turned out for the Royal Challengers Bangalore. During a period when many players and much of the media wrote off Kohli as a pleasure-seeking, high-flying young man who lacked direction, it was Kumble who saw in the youngster the single-focussed captain and player of today. India’s best coaches in recent years have been foreigners – New Zealand’s John Wright and South Africa’s Gary Kirsten. So have India’s worst coaches. Among Indians, Ravi Shastri was a fine coach (although his designation was technical director), and Bedi had his days, but now Kumble has been given a chance to put in place systems he first spoke of as a senior player. For that is his great strength. The ability to see solutions in terms of processes, to change systems and ensure they are long-lasting. His vast experience includes stints as administrator (president of the Karnataka State Cricket Association), as head of the National Coaching Academy, and since his retirement he has shown a pleasing habit of choosing the challenging over the comfortable. While Kumble’s cricketing record is public knowledge, his impact on Indian cricket in other areas isn’t as feted. It was Kumble who organised player contracts with graded payments; he first put into action the system that would culminate in India becoming the No. one test team in the world, something that happened after his retirement. The heart of the great Indian team of the previous generation is together again. The three-man team of the Cricket Advisory Committee comprising Sachin Tendulkar, Saurav Ganguly and VVS Laxman. Rahul Dravid is the junior India coach. And now Kumble comes aboard as the head coach. Communication will be easier. The promotion from the junior grade to the senior grade will take into account something more than runs and wickets (to recognise a player as one for the future after one or two failures is a gift). The new coach will be under intense scrutiny, especially as, following the tour of the West Indies, India plays 13 tests at home. Former coach Duncan Fletcher’s response was to be Sphinx-like and say nothing. Another coach, Greg Chappell’s style was to occasionally leak dressing room gossip. Kumble will follow neither extreme. His calm approach might appear to be in contrast to Kohli’s more animated one. Yet, the two share a similar toughness, and a willingness to work hard. And above all, a wonderful mix of passion and compassion.